89 Volvo 240 - This Volvo has a Chevy V8 in it. This car needs a bit of finishing. The seller says it will need a carb, battery and the exhaust hooked up. If you're looking for what I assume is an insanely fast Volvo, and don't mind doing a bit of work, this car is realistically priced at $1500.00. 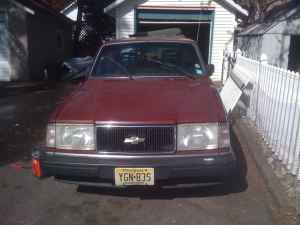 Located in Haddon Heights, NJ, click here to see the Craigslist ad. 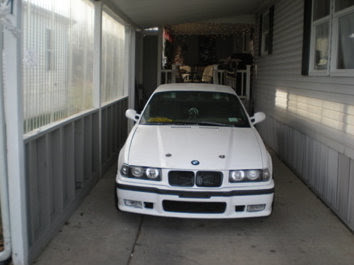 1994 BMW E36 3 Series - This car has the ubiquitous Ford 5.0 liter V8 in it. Like the engine in the Volvo, this V8 has been mildly worked. 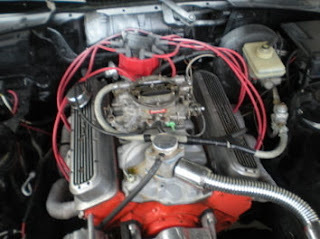 It was rebuilt around 2000 miles ago and has Edelbrock carburetor, intake and valve covers. It also has a competition cam and a 3.5" exhaust attached to performance headers. Wisely, the cooling system has also been upgraded. 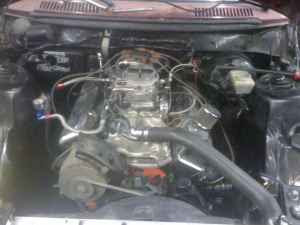 The transmission is a T5 5 speed. This is a turnkey car. The interior and body are in very nice shape. Located in Ransomville, NY, click here to see the eBay listing. @Bill: maybe the original m52 gave up? it's not exactly a Yenko, is it? nothing to cry over... there are thousands on CL in every state of repair you like if you decide you really need to pamper one.